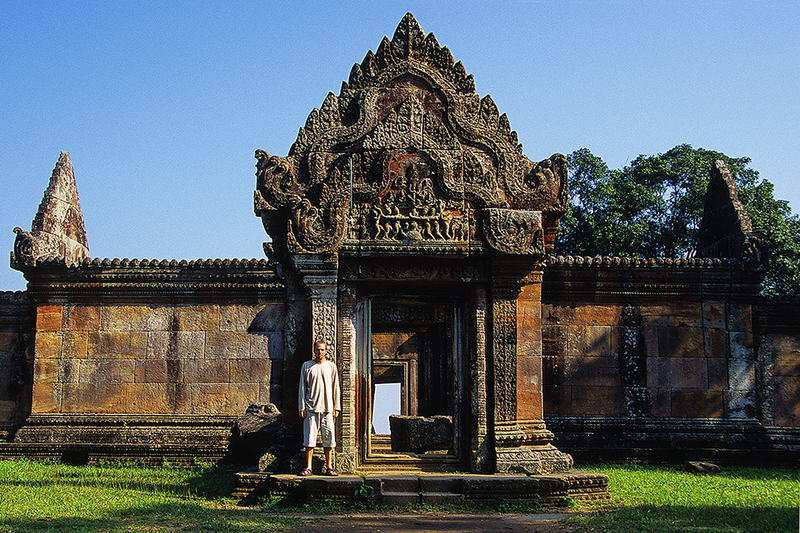 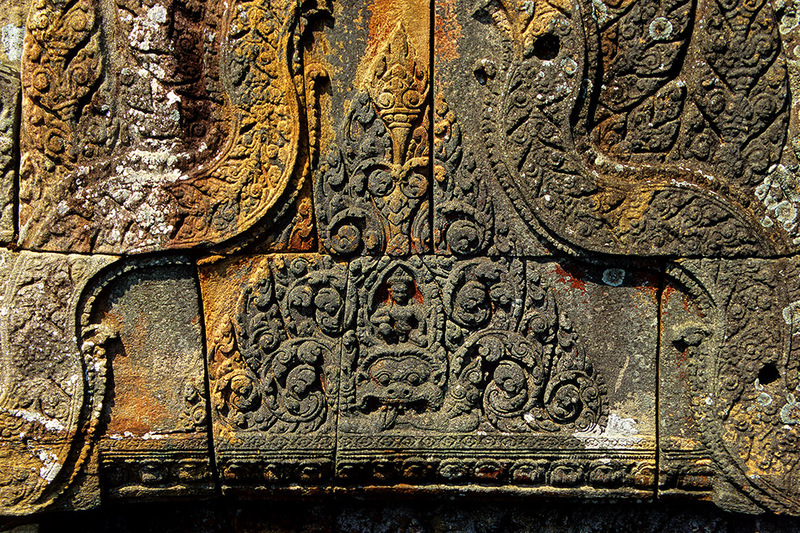 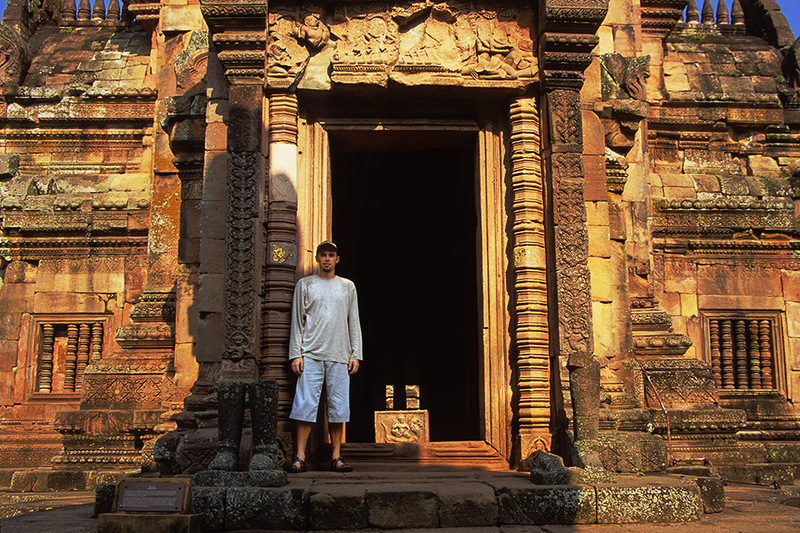 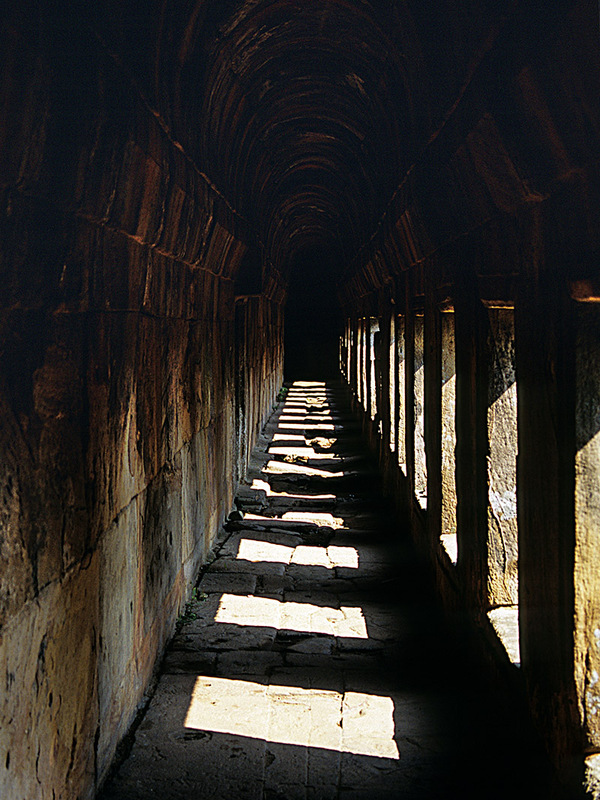 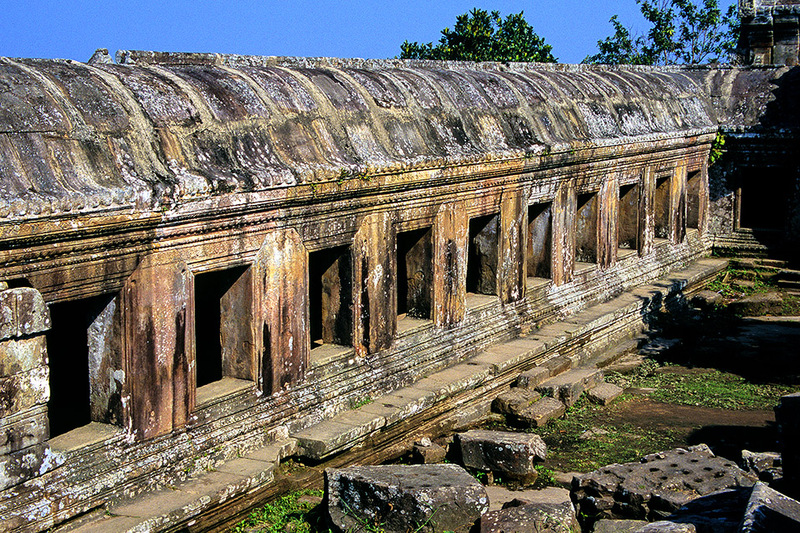 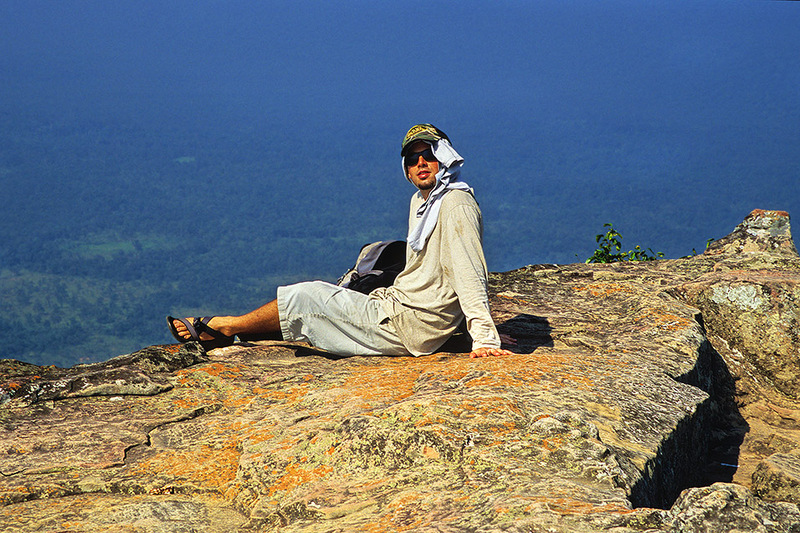 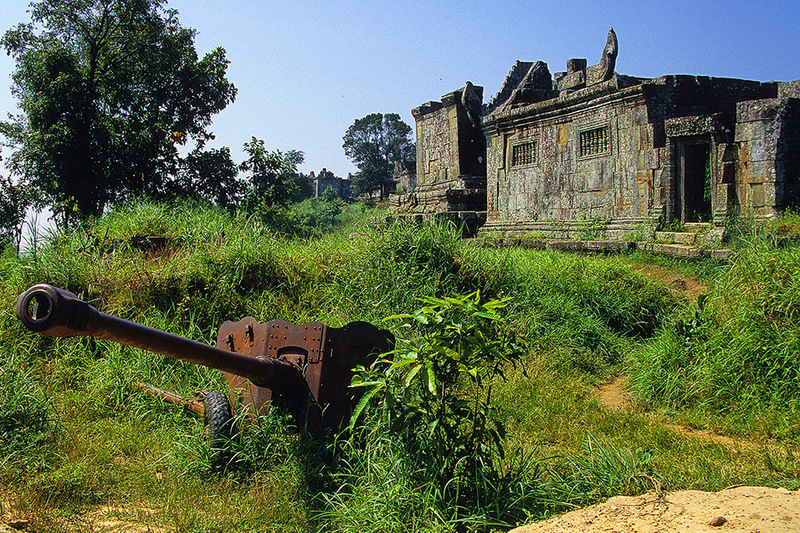 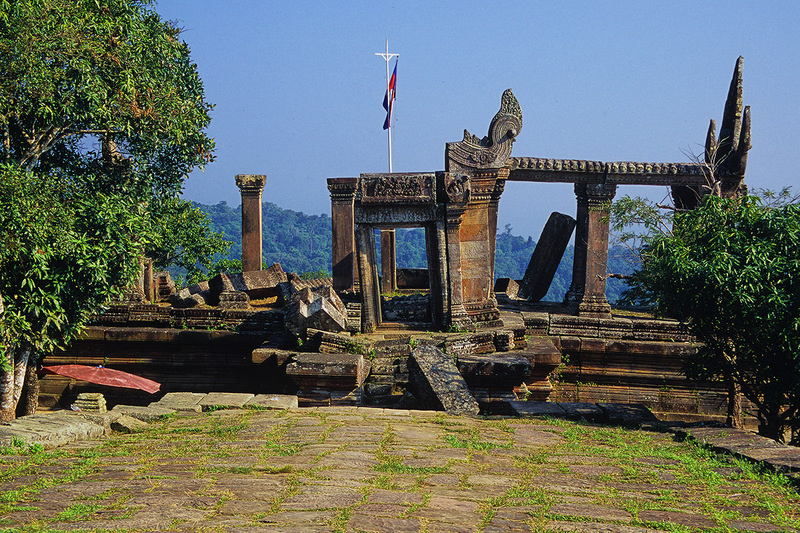 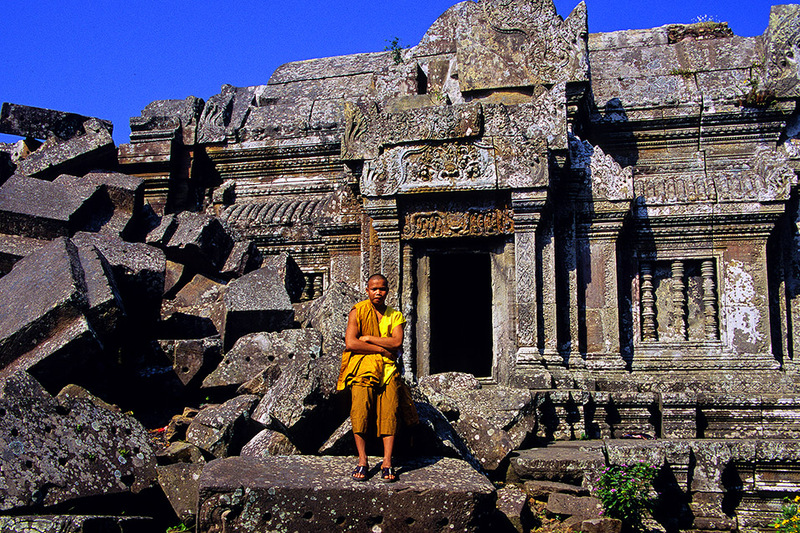 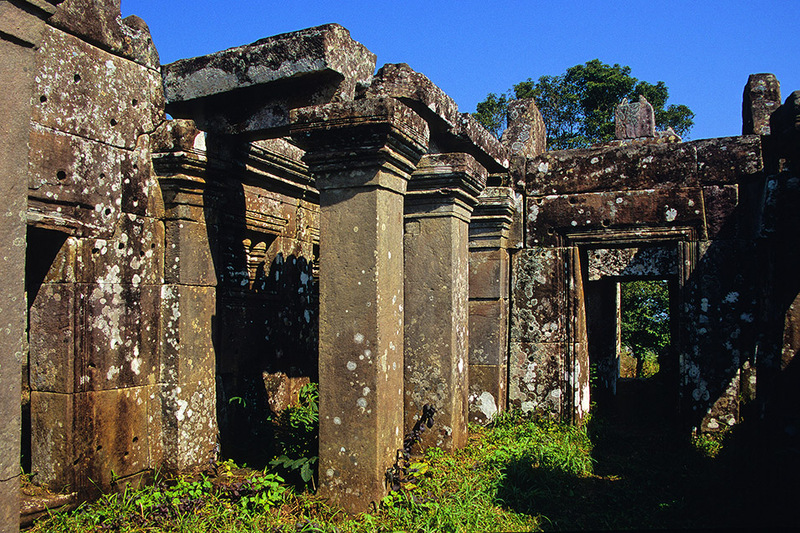 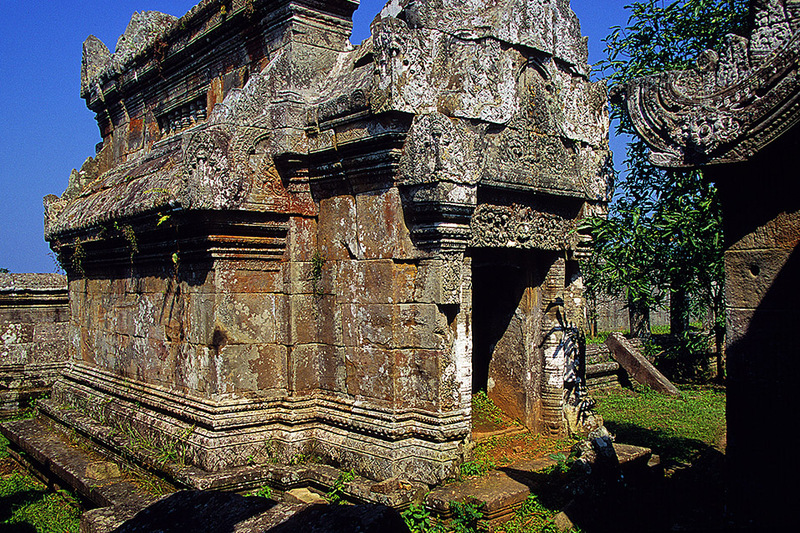 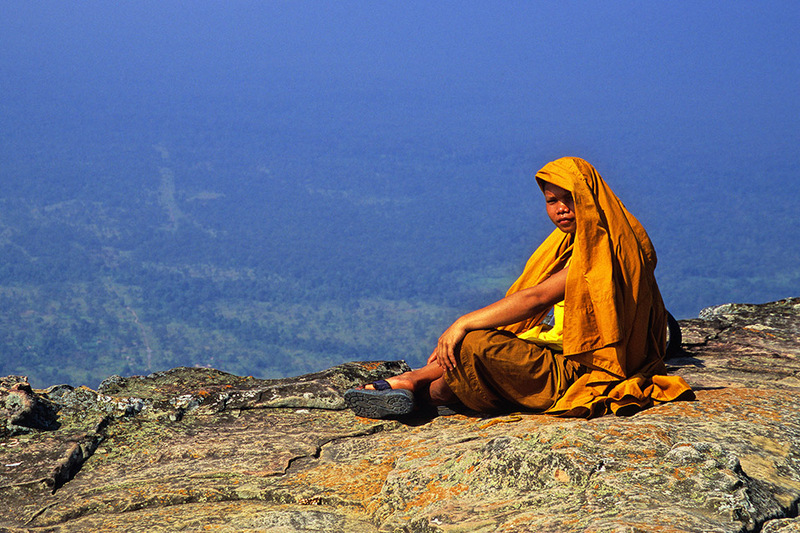 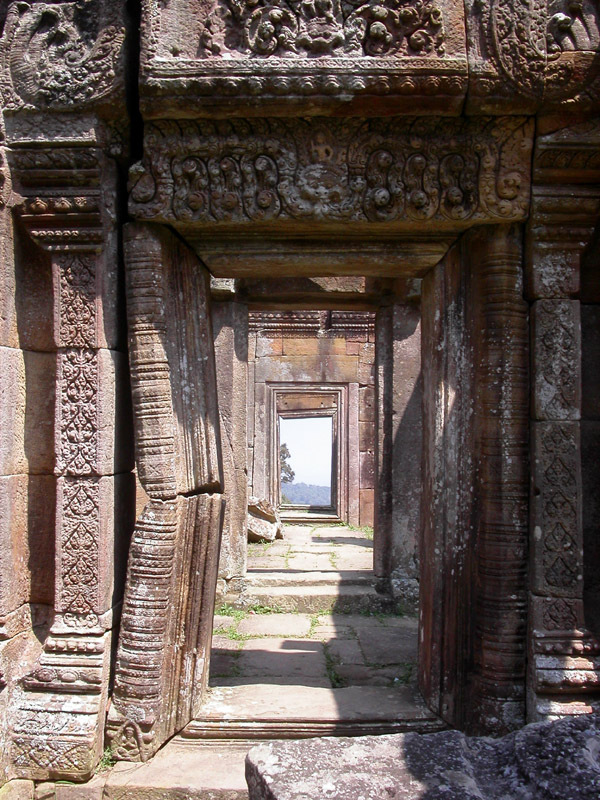 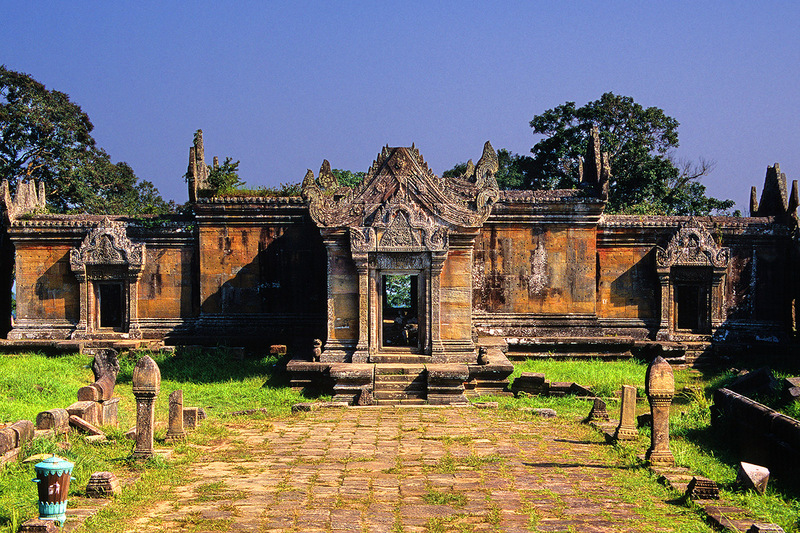 Prasat Preah Vihear, Cambodia travel photos — Hey Brian? 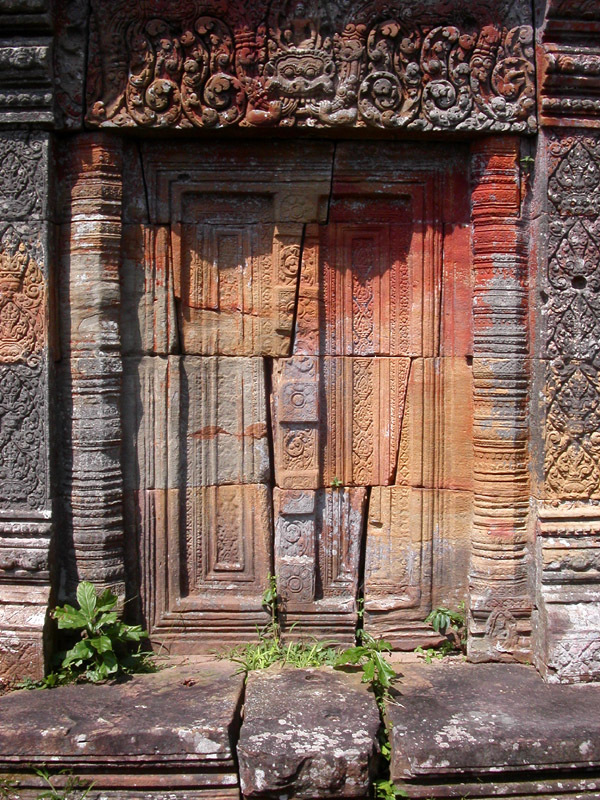 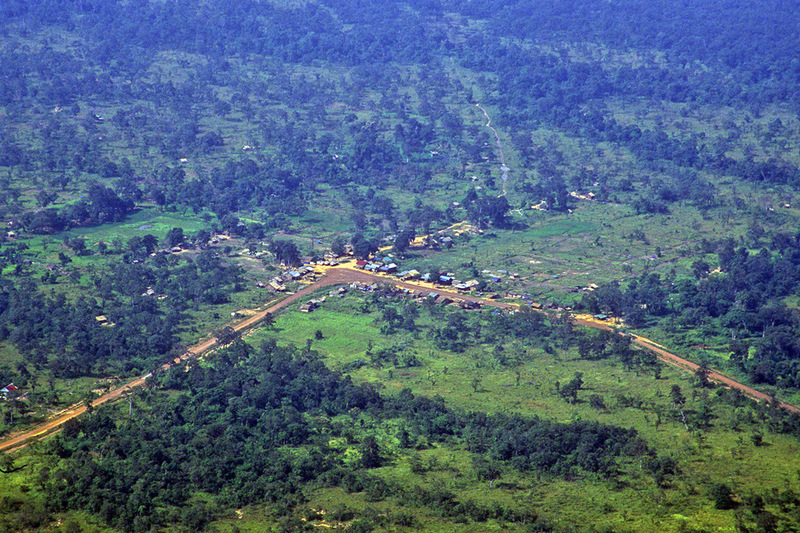 In 2004, the easiest way, by far, to get to this venerated Cambodian temple site was via the ‘back door route’ through the north-eastern Thai province of Sisaket. 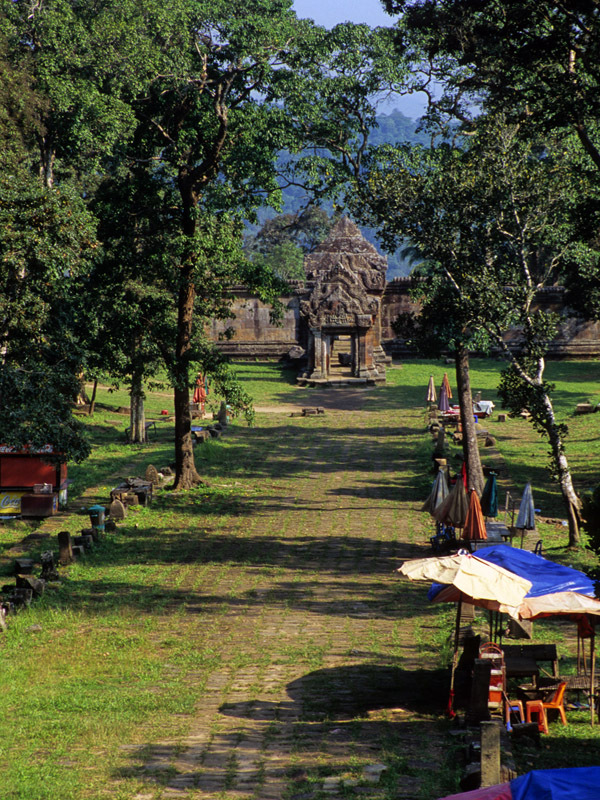 The paved Thai roads allow for an easy six-hour journey from Bangkok—a fraction of the time required on the Cambodian side where a 2.5-day, gut-wrenching, kidney-bruising motorcycle ride on dirt roads would get you to the exact same place. 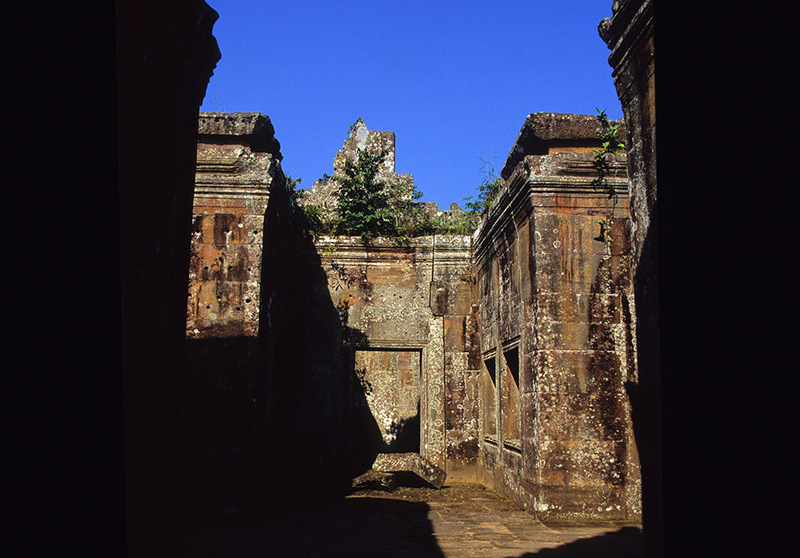 Thailand charges ฿200 for entry into Prasat Khao Phra Viharn, or ‘their side’ of this grand temple complex. 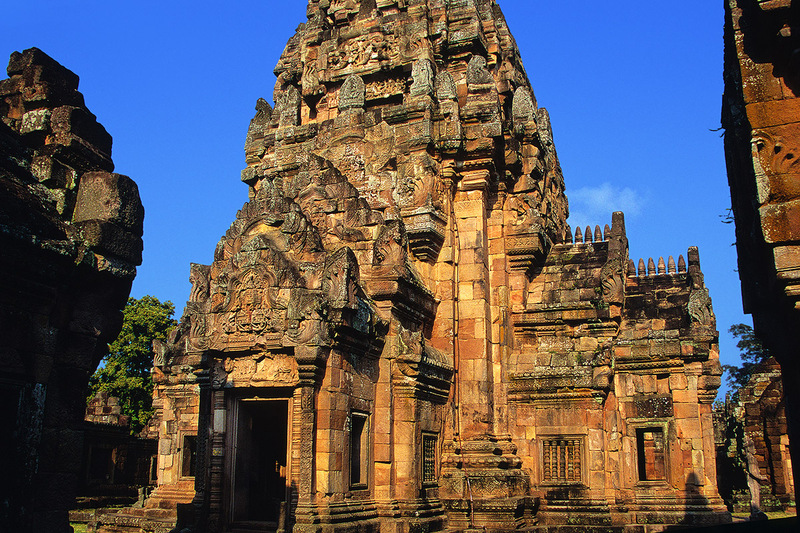 (Unfortunately, the Thai side doesn’t contain the actual temple structure.) 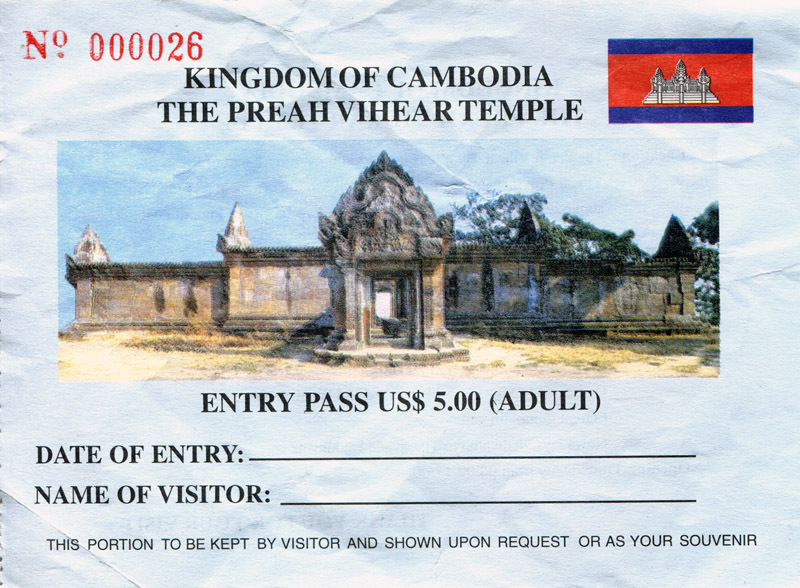 You then need to proceed to a quasi-Thai/Cambodian border, and buy yet another US $5.00 ticket (see below) from the Cambodians for entry into ‘their side’ of the Prasat Preah Vihear, which is where the actual temple is located. 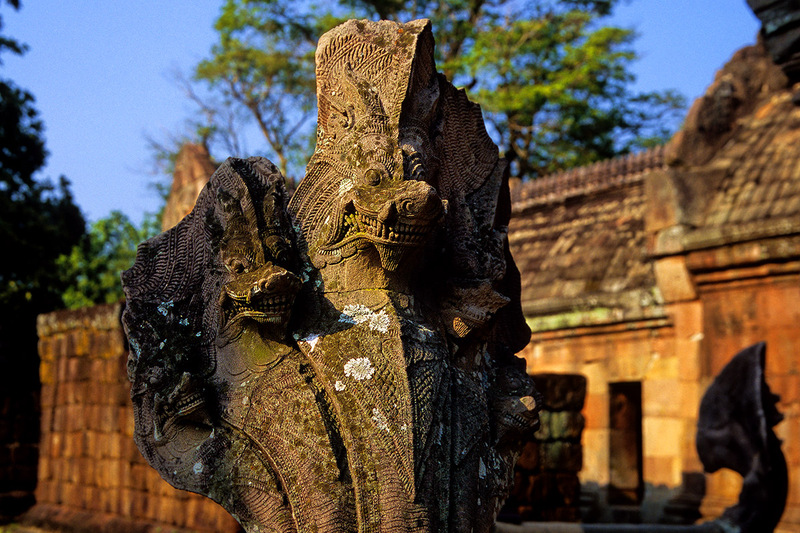 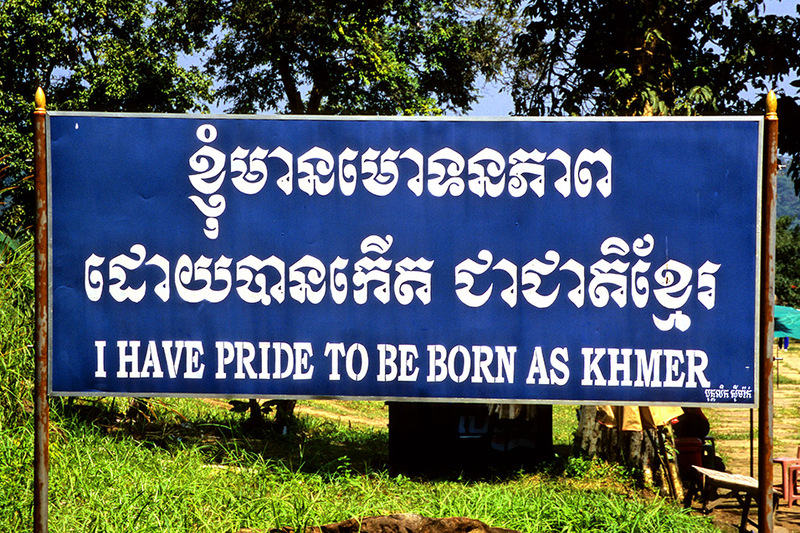 If you think this sounds confusing consider that the Thai and Cambodian governments have been arguing and occasionally fighting over this sacred cultural relic for decades. 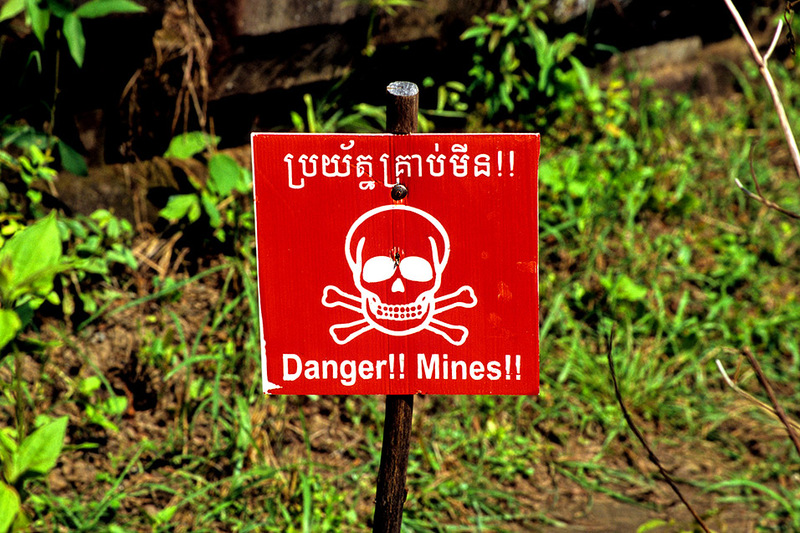 Don’t worry, there will always be an eager guide to walk you through the process (and around lingering land mines.) 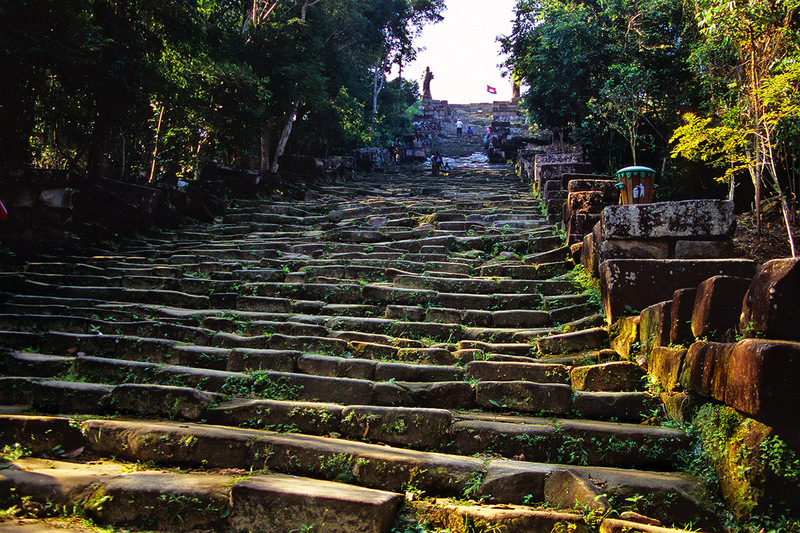 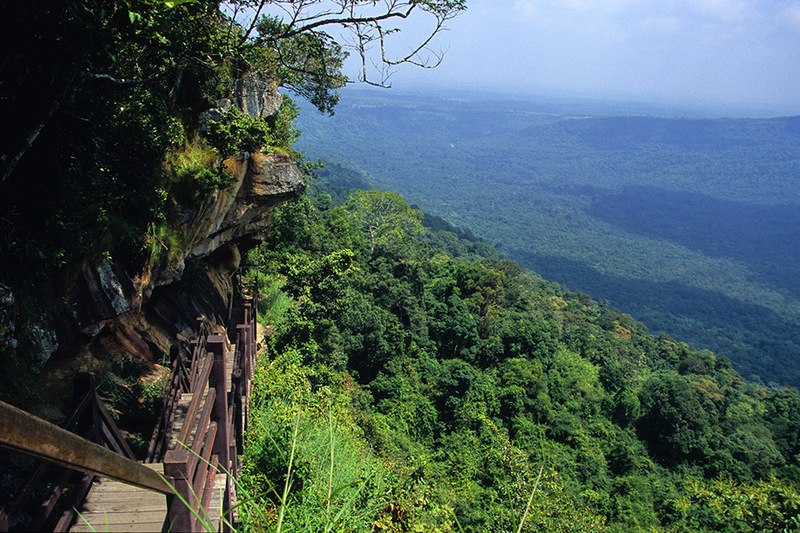 A trip here is worth every effort to witness one of the greatest achievements of the ancient Khmer empire, and the views are phenomenal. 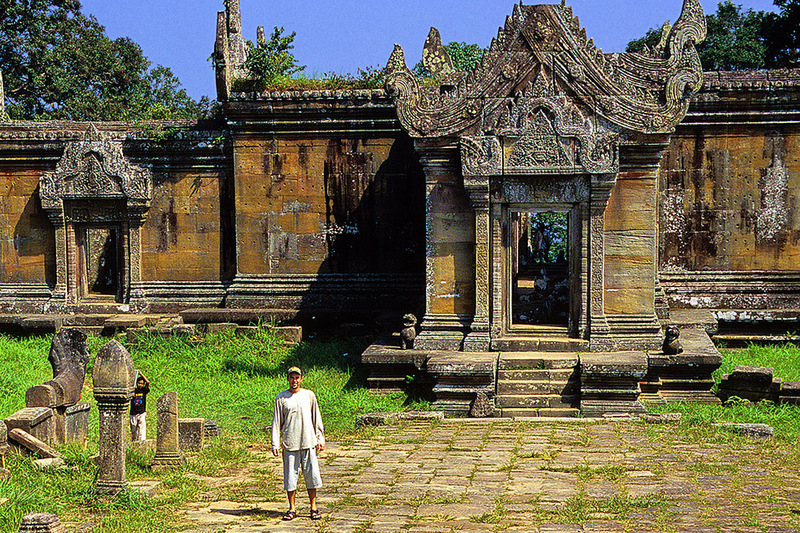 Am I really the 26th visitor, or only the 26th sucker to buy a second ticket? 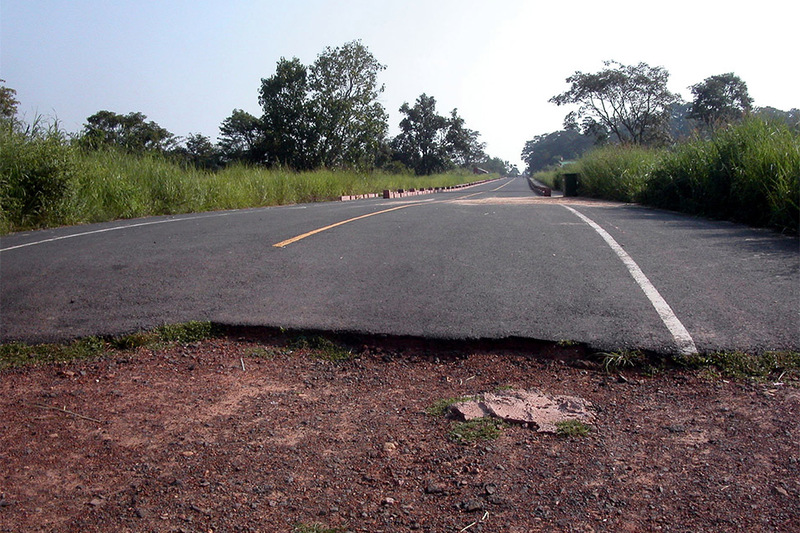 This is the exact spot where the Thai government stopped paving the road on the way to Prasat Khao Phra Wiharn (Thai name) / Prasat Preah Vihear (Cambodian name.) 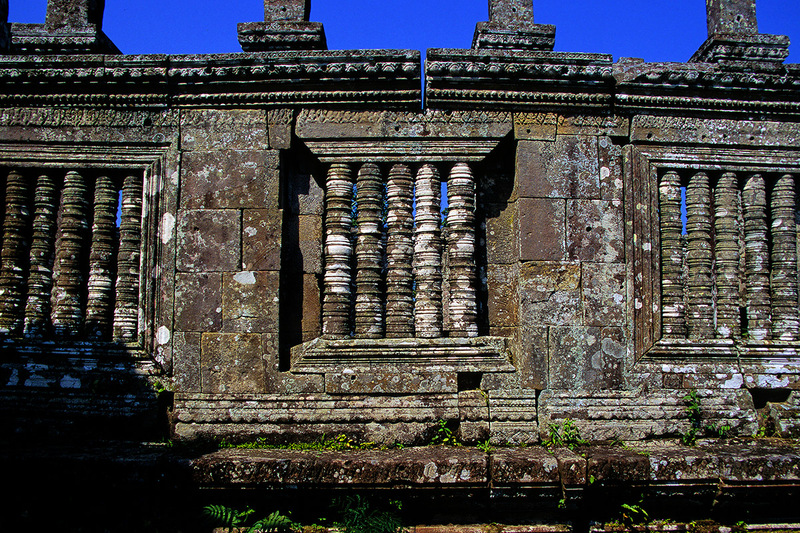 I believe this to be symbolic of the ongoing dispute for the Prasat Preah Vihear in this area.